Matt Oldfield — Matthew the Oxx — is a peripatetic soul and prolific poet-songwriter who has been quietly releasing the most mesmeric albums. With many miles travelled, Matthew writes and records tirelessly, living a reclusive life in the hills outside Lewes in Sussex, while singing with the true raw voice of his Stroud upbringing. In England for now, he has over the past few years been building a dizzying collection of songs, art house videos and recordings, the backlog of which he will be releasing as a series of albums over the coming months. 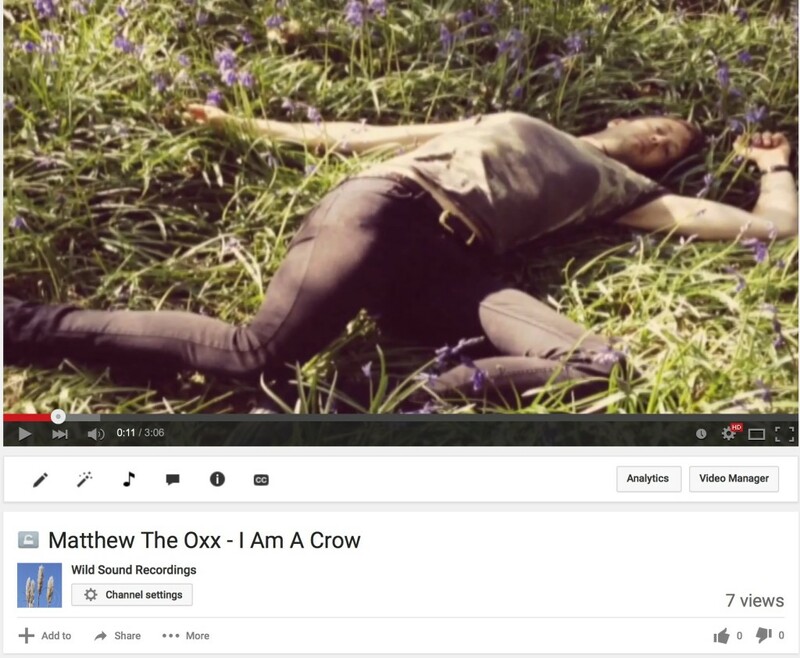 As he prepares to play English Folk Expo in Bury as well as a host of other gigs around the country, the video ‘I Am A Crow’ is a timely reminder of the extraordinary album he released in May, ‘First Aid For The Drowning’ — a dizzying, intimate masterpiece that meditates on philosophical themes. This beautiful, harrowing video with its mysterious tableaux and disturbing natural images plays on themes on mortality and the fleeting nature of life, themes which run through the album. This artist demands our attention.